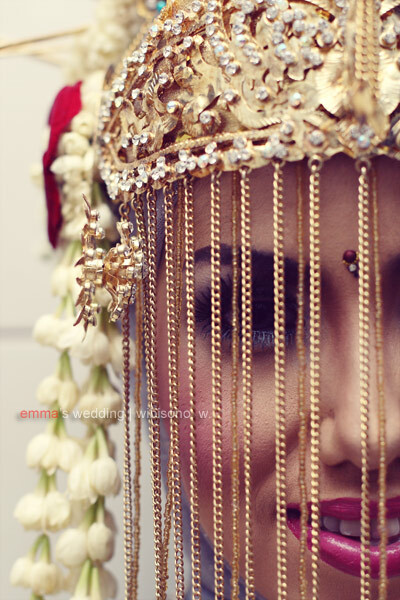 Getting a short message from Emma, a friend I met in a photo community, three months ago was like an answer to my long prayer, that was witnessing a traditional Arabic wedding of hers. Actually, it wasn’t really Arabic... 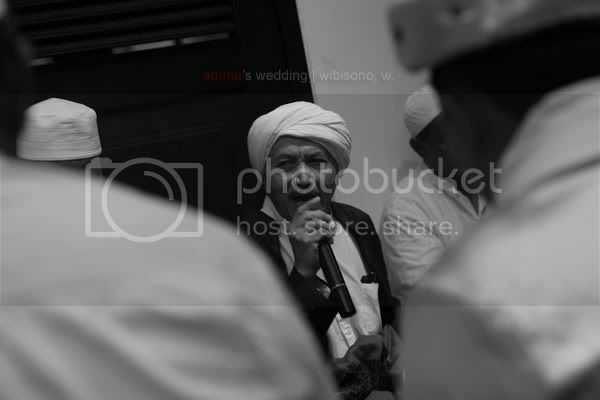 It was more like a combination between Arabic and Betawi. Back then, Emma requested my availability to capture the ceremony. Not as an official photographer (I had no experience in that field), but as a candid one. Together with Andi Arsi, also a friend I met in the same community, we started the season by shooting Emma at the dressing room. It was nearly three in the afternoon. 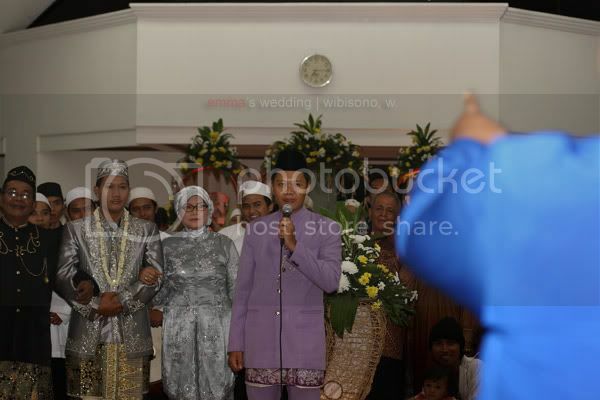 The ceremony began one and a half hour later as the groom came with his parents and relatives. 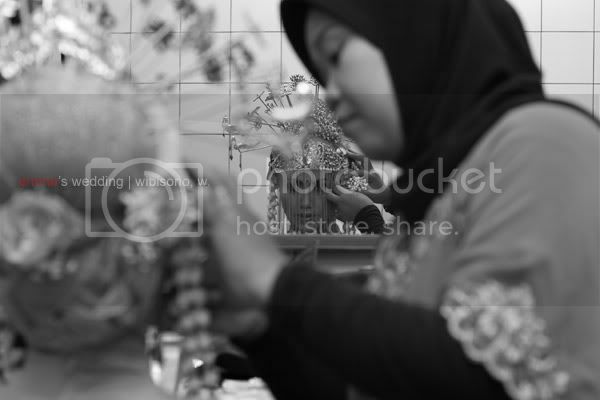 It was a typical Islamic wedding where there were only ‘wali’ (guardian of the bride) and the groom in the ceremony. The rest were just witnesses. 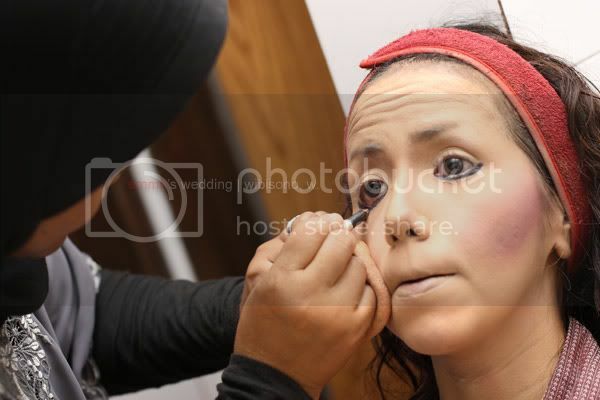 As for Emma as the bride, she stayed in the dressing room. 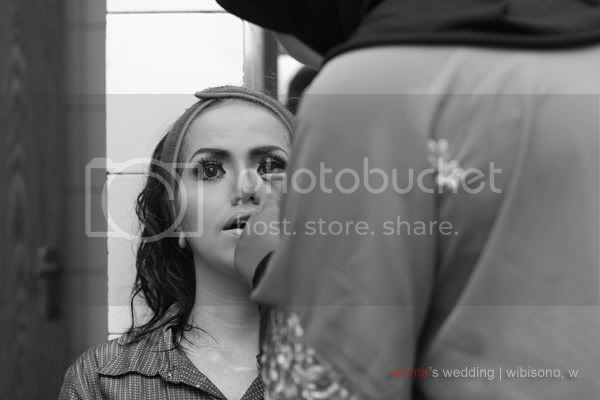 After legally married, both the bride and the groom were allowed to meet and see each other. Then, it was time for another dressing. For the reception, held in the evening, they put a traditional dress that appeared to be like kabaya on Emma. But what attracted me most was the crown she was wearing. 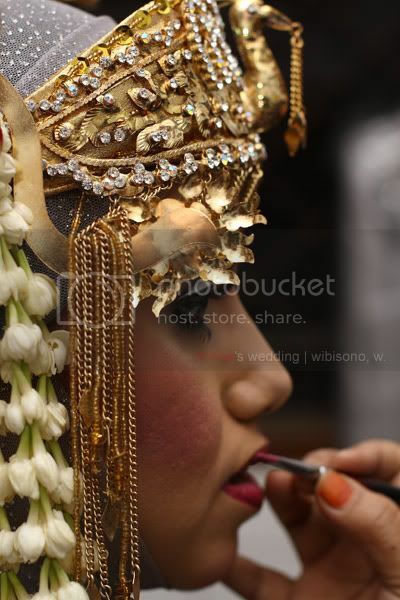 I guessed the crown was adorned with a Chinese ornament which was a bird, called “Burung Hong.” The culture of Betawi was very much influenced by Chinese and Arabic. 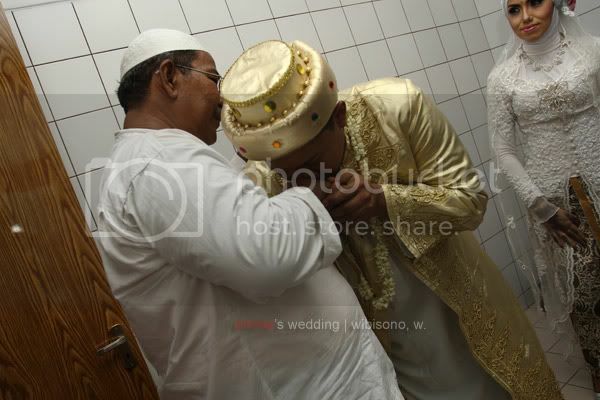 As for the groom, he was dressed in Arabic. I wasn’t sure if they still wore the same dress in Middle East. 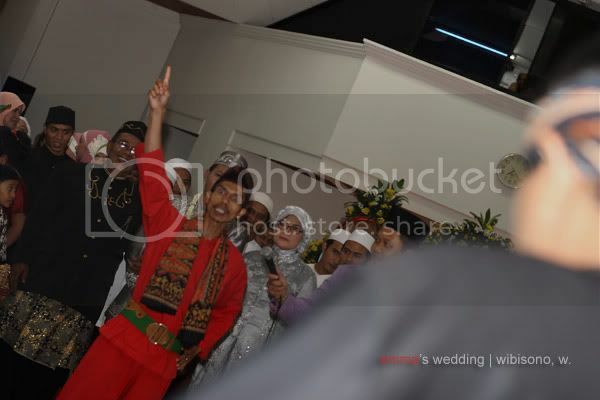 The reception was held according to Betawi’s tradition. The most interesting part is the theatrical attraction at the opening of the reception. 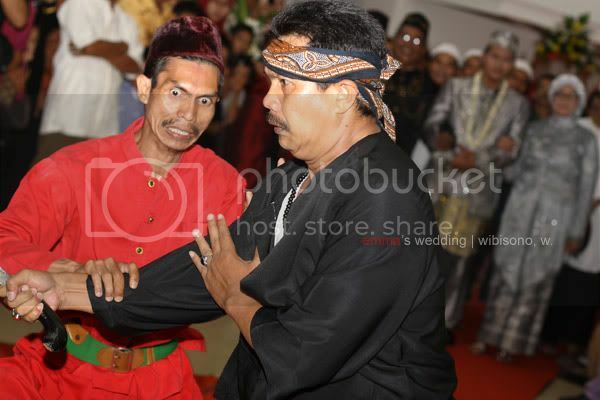 Each family has its own ‘jawara,’ a person with a martial art skill of Pencak Silat, tasked to guard the family of the groom or the bride. 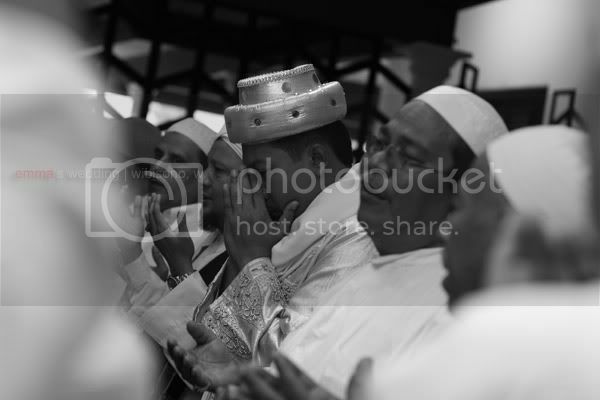 They sort of argued each other in ‘pantun’ before finally fought for the honor of each family represented by them. It was a fake fight, yet it looked real to me. Thanks to Emma for the oportunity given. I got some friends named Doddy who all happen to be architects. Any change you're one of them? Sure Emma.... feel free to share this. Thank you for coming.